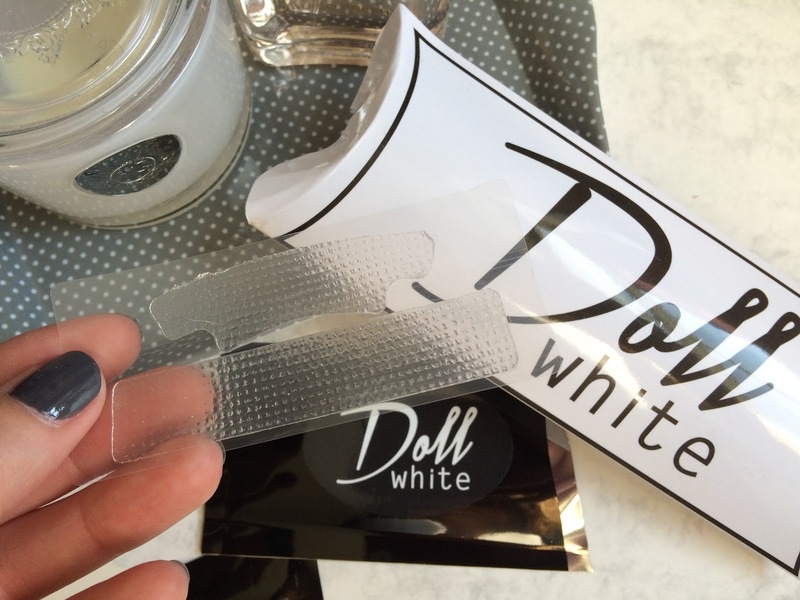 Some time ago I was sent some *teeth whitening strips by Doll White and I was excited to give them a go. 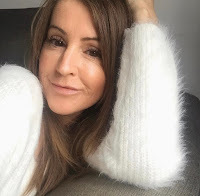 I'm a big fan of oil pulling to help whiten my teeth and strengthen my gums, you can read all about that here, but I really wanted to see how these faired. They claim to give you whiter teeth in just 14 days using no peroxide. The box contains 14 packets each with strips for upper and lower teeth. The packaging is simple, yet effective with the instructions printed on the back of the box in three easy steps. I applied the strips each evening after brushing my teeth and yes they are fairly easy to apply. You have to leave them on your teeth for 30 minutes for the gel to get to work. Whilst they were on I'd either carry out my usual night time cleansing routine or sit in bed on my iPad (catching up on Bloglvin). There was no tingling sensations or irrigation of any kind while they were in place. Time up, you simply peel the strips off and discard in the bin. As with all reviews I give my own and honest opinion so I do have to say I did not like that it left a lot of the gel all over my teeth once you remove the strips. You have to scrub your teeth to get every last bit off and it made me gag a little actually! This aside I did persevere with the 14 days and could see a slight improvement, nothing dazzling but an improvement all the same. I think these will be great for a quick 'brightening' rather than whitening of your teeth before a holiday or big event and for a lot of people these will be a great option as at £18.99 for the 14 day treatment it won't break the bank and it's easy to do. 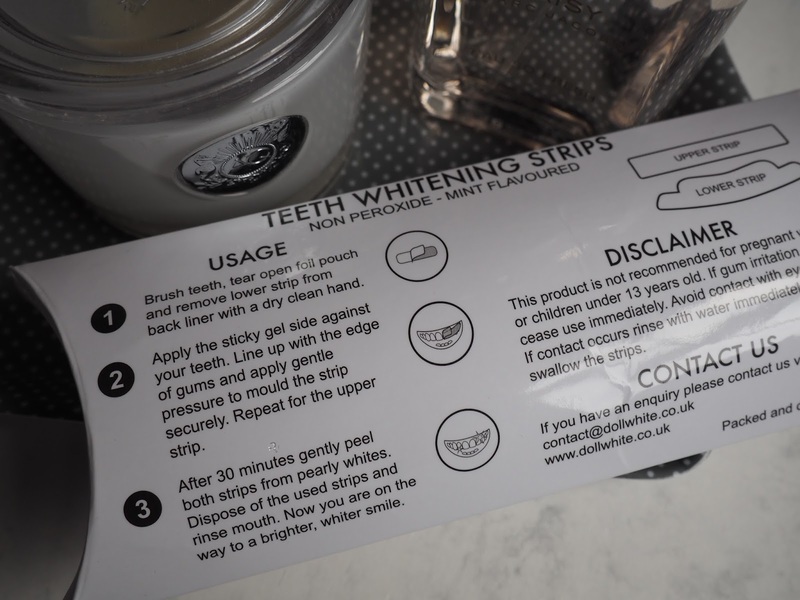 Let's face it we'd all love to have beautifully white, bright teeth so if you have a special occasion coming up why not give these a go? It's not something that's going to last weeks or months but it should brighten up your smile. You will find their website here. 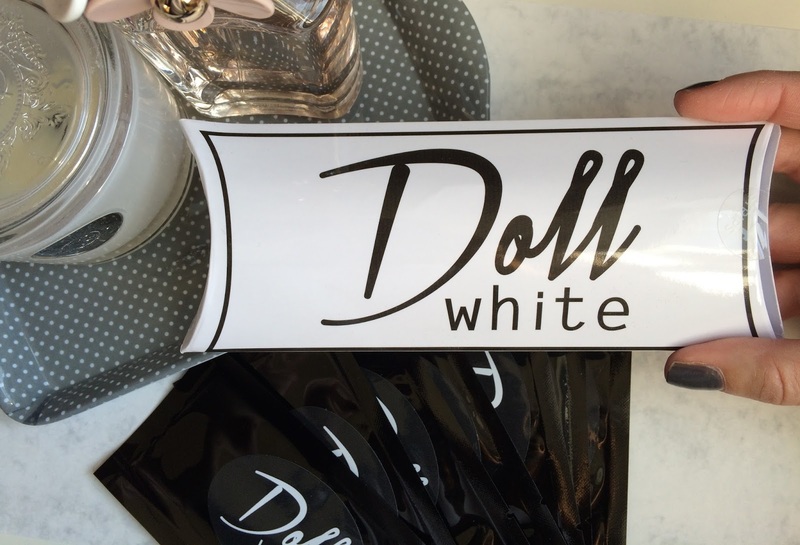 Have you heard of Doll White? 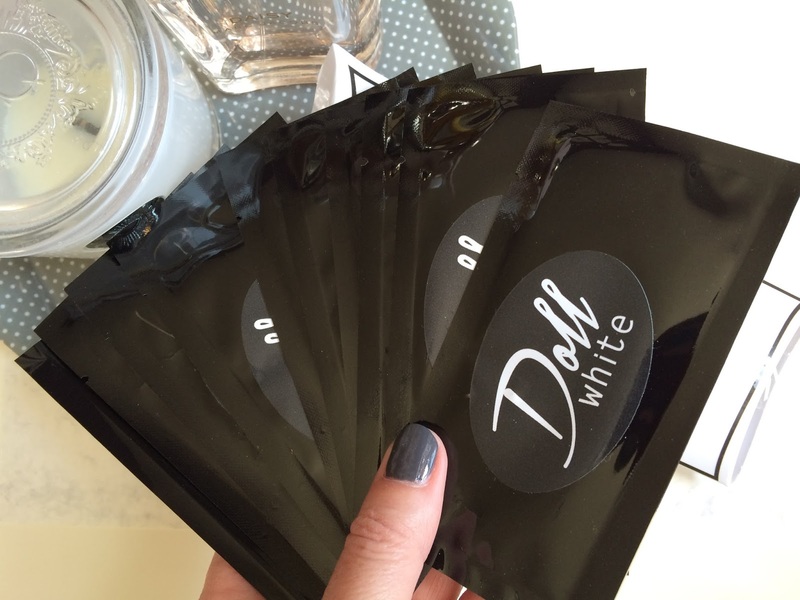 have you used any teeth whitening strips before? *I was very kindly sent this item for review.